One of the many ways our community supports our mission is through third party events. Over Memorial Day weekend, the owner and manager of Sonrisa grill held their annual Tacos and Tequila Festival. 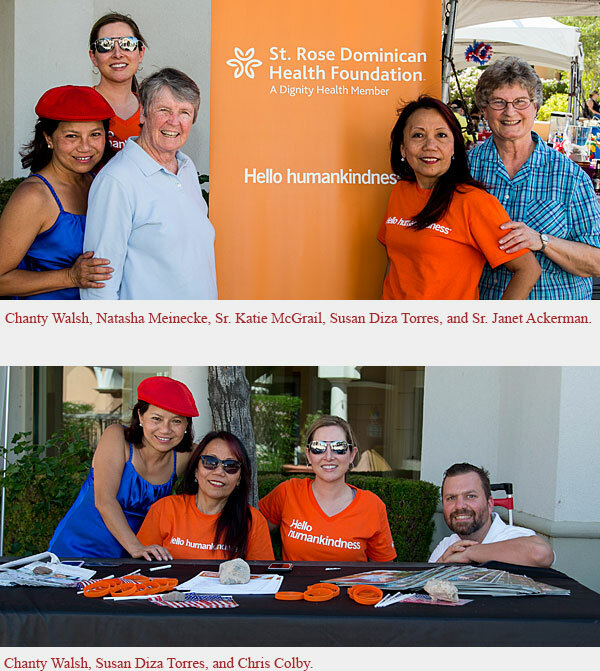 This year they selected Dignity Health – St Rose Dominican’s Pediatrics Department as the recipient of the proceeds. Throughout the day, the aroma of fresh tacos filled the warm air as a mariachi band played. Many who attended shared their positive stories about St. Rose. One man stopped by our Health Foundation table to offer a donation and said, "I was a patient, you made me comfortable and helped me heal. I thank you from the bottom of my heart for all you did for me and my family.” Another woman shared a story about her son, who had been born too early and needed our NICU. She said, “I don’t know what I would have done without St. Rose! You saved my baby and I can never thank you enough!" The day was a large success in great part to the wonderful volunteers, former patients, and staff who participated to support the event. Thanks to each of you for coming out to give of your time and thank you to all of our caregivers for the excellent care you provide our patients every day! A special thank you to Chanty Walsh, Chris Colby and their team at Sonrisa Grill for selecting Dignity – St. Rose as the receiving charity!